This recently launched model has significant advances in terms of contemporary design and technology. 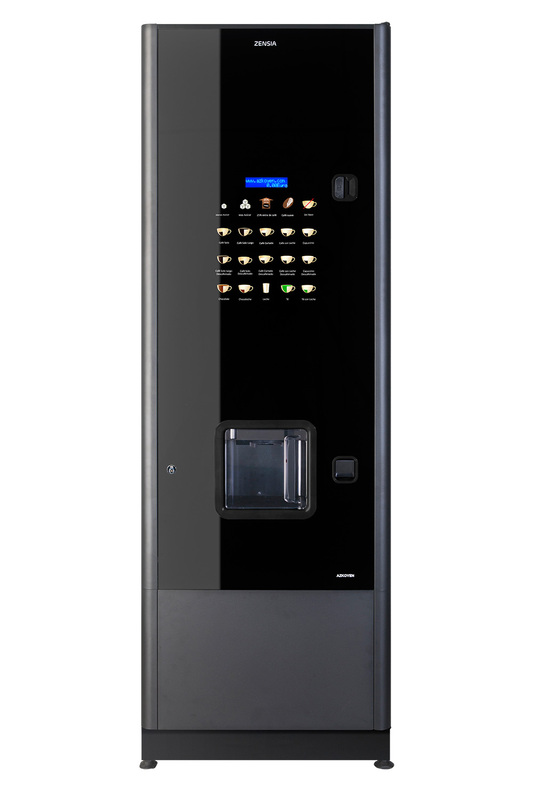 The Zensia machine is suitable for a staff compliment of up to 250 and offer a complete range of hot beverages including fresh brew tea, Instant Coffee and hot chocolate. State of the art “In-Touch User interface” provides a simple icon touch screen in order for you to create personalised hot beverage selection.